Learn English as second language on our stunning wilderness ranch! As an ESL student, learning English as second language is in high demand worldwide to develop communicative competence in the four areas of language skills, speaking, listening, reading and writing. Even during winter we enjoy many sunny days at Chilcotin Holidays, which invite to a bunch of outdoor activities. The best way to learn English as second language is by immersing yourself in an English speaking country and Canada is one of the best destinations to study English. Now that you are determined to learn the language, the next big question is: what type of a learning environment do you prefer to be in? Do you prefer attending a university or college in a big city like Vancouver or Toronto? Or, do you prefer to experience the true Canadian wilderness beyond your classroom environment? Here at the ESL Wilderness Ranch, we not only provide a high standard of English language study by highly qualified ESL instructors, but we also provide a variety of wilderness activities to participate in BC's gorgeous natural landscape. As the winter season has just started, we have lots of fun and interesting activities in store for students enrolling in the ESL program. 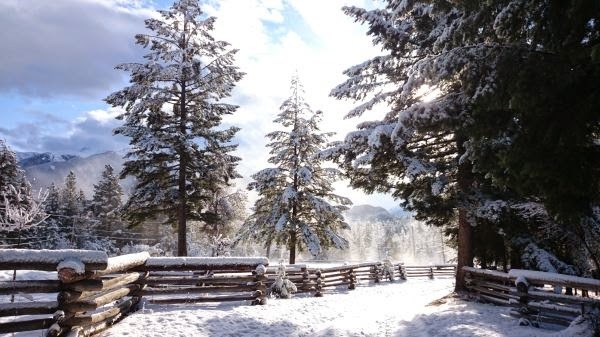 Have you always wanted to snowshoe across the forest? Do you prefer the thrills and chills of riding a snowmobile? 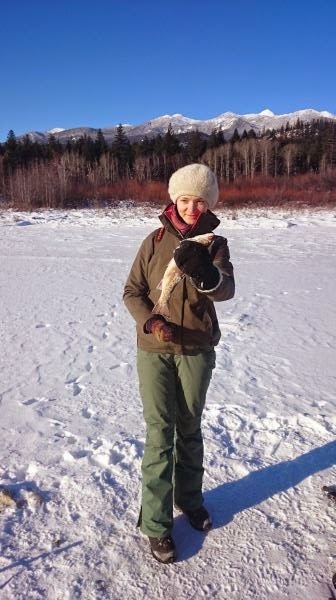 Or do you want to participate in ice-fishing and catch a nice trout like we just did this morning? If you answer yes to all these questions, then our ESL wilderness program is right for you. Give us a call or email us and we will make it happen for you. Check our website for more details!